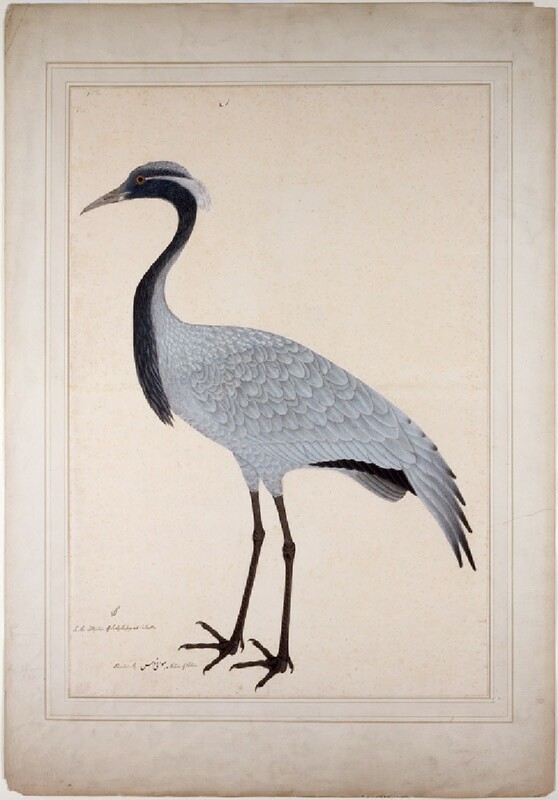 The migratory Demoiselle Crane is found over a wide area, from the Black Sea to northeast China. Commonly wintering in north India and Pakistan, it was often mentioned in poetry and folklore. 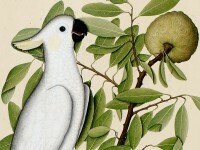 Beautiful women, for example, might be compared to this bird for its slender, graceful form. This accomplished painting is ascribed to Bhawani Das, one of the two Hindu painters who worked for Lady Impey together with the Muslim Shaikh Zain ud-Din. Bhawani Das too is described in the inscription as a ‘Native of Patna’.